It certainly has been an interesting journey – from Salesforce and IT novice, to building out a Financial Services Org, implementing Pardot marketing automation, and now diving headfirst into Einstein Analytics (formerly Wave). 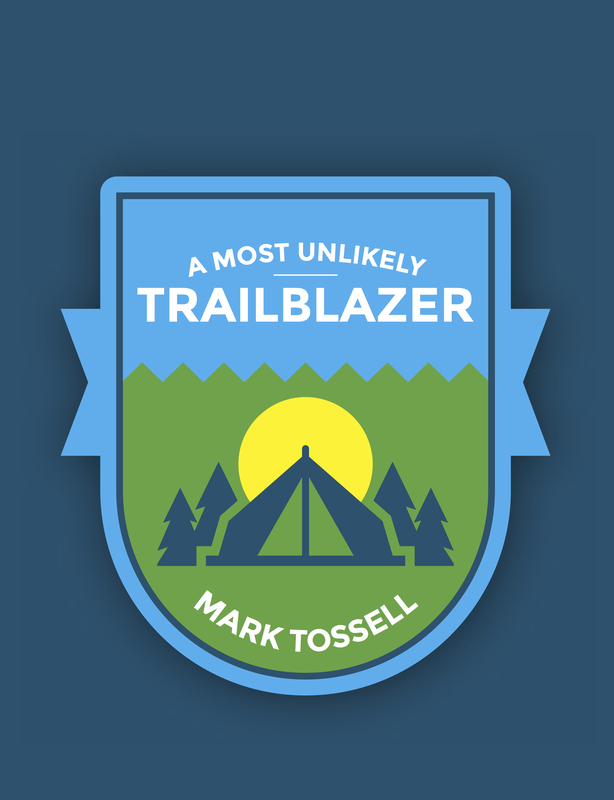 Not to mention being awarded the coveted, and much misunderstood, Gold Hoodie, with the #AwesomeAdmin award. I have been blessed with the incredible opportunities afforded me by InFusion360, with the amazing team that I get to work with every day, with an awesome Salesforce Ohana community, and with a loving and supportive family. Einstein Analytics supports business decisions with meaningful insights. What is the point of spending hundreds of hours building beautiful analytics if they don’t result in smart decisions that build your business? No point at all. Our wealth management business has quadrupled its sales pipeline in 12 months. We are hiring new advisers and support staff to keep up with all the work. There are several reasons for this, but the power of Einstein Analytics is a key factor in our growth. 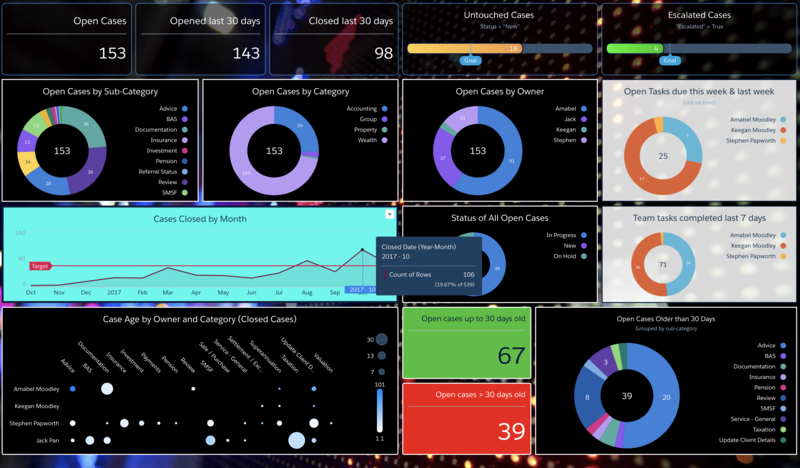 We are moving towards our long-term goal of running our business from analytics dashboards. It hasn’t been easy – significant change never is – but is has been transformative. Everyone has data. Most businesses, however, do not understand and leverage their data. It is spread across multiple systems, owned / protected by various keepers, and interpreted in different ways. Data is the new oil – it is extraordinarily valuable and powerful. However, not many organisations harness this priceless resource, managing instead through confusing spreadsheets, endless emails, countless meetings, and plain old gut instinct. I’ll take the data, thanks – it works. “Clicks not code” – the Salesforce mantra that customers love! Does it really apply to something as powerful and complex as Einstein Analytics? Absolutely! We don’t have access to the standard, out-of-the-box Sales and Service Analytics apps, so I built all our dashboards from the ground up, and I seldom have had to employ code. Certainly code can be leveraged to extend the power and flexibility of Einstein Analytics, but it is not indispensable. I won’t say that learning and building Einstein Analytics has been easy or simple. In fact, one reason that other BI competitors are less powerful is because they have focussed on simplicity and ease of implementation, at the detriment of functionality and versatility. However, it has been a fun ride for this mechanical engineer turned business analyst. All the way from the Analytics GM, Ketan Karkhanis, to the thousands of employees and Analytics customers, there is a real community spirit – Ohana – that supports and fosters growth and innovation. I have not experienced anything like it anywhere else. Friends and partners in crime – Carl, Peter and Rikke. 4. It is great fun to work with! I get to build awesome analytics that truly build and grow our business. It is very challenging, sometimes frustrating, always complex, and never, ever boring! I love Einstein Analytics so much that I have partnered with my friend and CEO, Neil Moodley, in an exciting new business insights venture – Visioneer360. Stay tuned, and feel free to email me for more information. Also, see my blog around resources. Next Analytics: Does the reality match the hype?